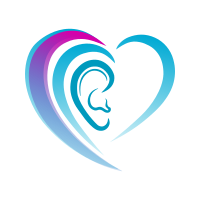 At Heartland Audiology, our mission is to offer the highest standard of hearing healthcare, in a personalized, supportive, and compassionate manner. To maintain this quality of care, we will continue to collaborate and advance our knowledge and expertise in all relevant areas of hearing healthcare and hearing instrument technology. We will always support our patients and respond to their hearing needs to ensure that our patients can increase their enjoyment of life through success with hearing aids. We know that acknowledging hearing loss and getting treatment can be stressful and overwhelming; we make the process easier by providing a relaxing, warm and friendly experience where we can listen to your needs and concerns, answer your questions and provide solutions. Hearing loss is the third most common health problem in the United States. At the age of 65, one in three adults has some hearing loss; however, a majority of the people who suffer from hearing loss are under age 65. See what our valuable patients are saying about Heartland Audiology. Comprehensive hearing exams will determine if there is hearing loss and if hearing aids are needed. Dr. Namken will assess your needs and discuss your options. Do you hear ringing, buzzing, or chirping sounds in one or both ears? Then it’s time to get a hearing evaluation and talk to Dr. Namken about managing your symptoms. Your hearing can be damaged by any loud sounds. Heartland Audiology offers custom earplugs to provide the best fit possible to keep your ears protected. Heartland Audiology © All rights reserved. Heartland Audiology is the only hearing aid clinic in Fremont, Nebraska which is physician-directed and where you can receive all of your hearing needs in one location. We offer the most trusted, experienced and most comprehensive treatment of hearing disorders in the Fremont area. Your trusted choice in hearing solutions. Get in touch with us today and let us take care of all your hearing health needs.